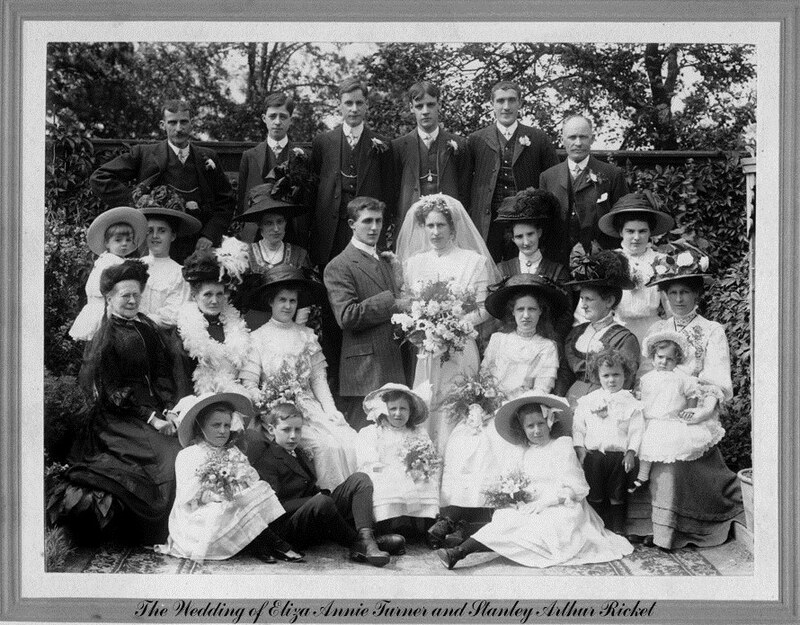 Maureen Harris sent this wedding photo featuring some wonderful Edwardian hats: Can anybody name any of the family members. I think I recognise my grandmother Elizabeth Sheldrake nee Turner, bottom row right with young child on her lap who is Eliza’s elder sister and her husband, my Grandfather Frederick James Sheldrake top row left. The family lived in Brentford probably Hamilton Road. Any further information would be very helpful. If you recognise anyone please get in touch.